In addition to our standard products, All About Lifting & Safety can design, fabricate and install equipment that specifically meets your complex requirements. 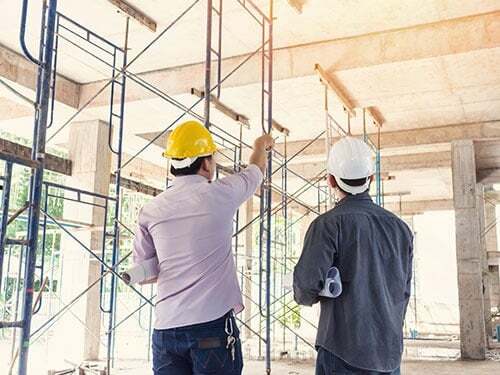 Coupled with our team’s maintenance and testing services, fabrication can mean a more efficient, effective and safe worksite setup for your company. Working with our team throughout the fabrication process to create your own lifting assembly will ensure that your team is focused on the job at hand, rather than configuring a new rig that’s complex to set up. Thanks to advancements in technology and a reduced cost of development, investing in customised lifting equipment has never been so easy. Customised lifting assemblies allows you to increase jobsite safety, reduce the number of accidents and maximise productivity. All About Lifting & Safety are industry leaders and all lifting assemblies designed through our fabrication process meet industry and state safety standards. These assemblies are created with the strongest materials to withstand your required weight load limits. Strength and durability in construction allows your lift to be done safely and efficiently. All of our custom designed lifting equipment is made from the strongest materials, to increase the working life of your product and ensure compliance with load limits. The strength of your equipment comes from permanently attached or changeable fittings that are created to work together. Rather than piecing together a variety of different tools, brands and sizes, our fabrication process allows you to have consistent equipment across the design, increasing its strength and effectiveness. Durable equipment, with a long working life, decreases the chance of worksite accidents, as damage or deterioration from regular use is reduced. All of our equipment is made to last through many lifts, projects and job sites. Working with your expert from All About Lifting & Safety, you will also know your equipment’s work load limit and other weight/job restrictions, eliminating standard on-site calculations or misuse of the equipment. Your customised equipment, for any size job or company, will allow you to start working safely and efficiently, right from the first day on the job! Contact All About Lifting & Safety today for expert fabrication for your project.